Canadian rock group, Art Of Dying was formed in 2004 by lead singer Jonny Hetherington and guitarist Greg Bradley. Soon after, the duo added Chris Witoski on rhythm guitar, bassist Matt Rhode, and drummer Flavio Cirillo to complete their line-up. The group quickly began work on their first album, to be released by Thorny Bleeder in 2006. Despite limited chart success, the band gained great exposure, earning themselves a record deal with Reprise Records and Intoxication Records - founded by Disturbed members David Draiman and Dan Donegan - for their second album. Vices And Virtues was later released in 2011, and gained tremendous acclaim in the music industry, propelling the band forward. Art of Dying have toured almost continuously in support of the album. 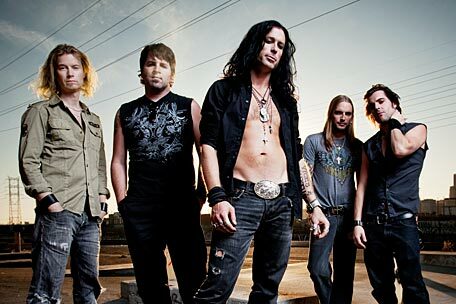 In addition to headlining and co-headlining club shows, the band has been featured on several of the biggest hard rock and heavy metal festivals in the country. Also, they have been on both the 1st and 2nd annual Avalanche Tours in 2011 and 2012, headlined by Stone Sour and Shinedown, respectively. They also toured on Rockstar's 2011 Uproar Festival, headlined by Avenged Sevenfold. Let the Fire Burn, a complete acoustic album, was released on April 24, 2012. The album features songs like "Completely" and "Get Thru This". This led to Art Of Dying touring as the opening act for the cello-metal band Apocalyptica during the North American leg of the Shadowmaker tour in 2015. Most Recently, the band released their 3rd studio album Rise Up. in 2015, to mixed reviews. Finally, Art of Dying announced on Facebook stating Jeff Brown left the band to "pursue a different path", and long time drum tech/stage manager Cody Watkins will be his replacement.